Bits & Pieces for day to day Maintenance of your House and Electronic Equipments at Reasonable Price!!! 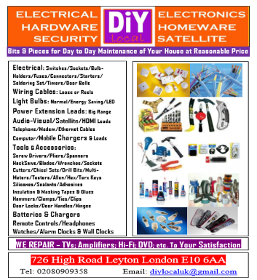 * We are a DIY Store and Repairing Centre. * We sell Bits & Pieces for day to day Maintenance of your House. 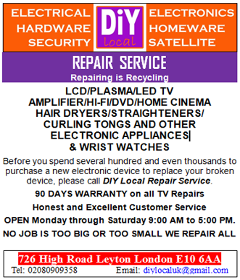 * We, also, repair all sorts of TVs and Electronic Gadgets such as Home Cinema, DJ Equipments, other expensive Electronic Equipments. * We guarantee you for the Reasonable Price and quality. * We offer you the highest level of Customer... Read more Service with smiling faces!!! * Once you visit us you would feel like visiting us again and again. That’s our confidence. One Sentence for them: Excellent People with Superb Behaviour, Excellent Service and Very Competitive Price. Highly Recommended!